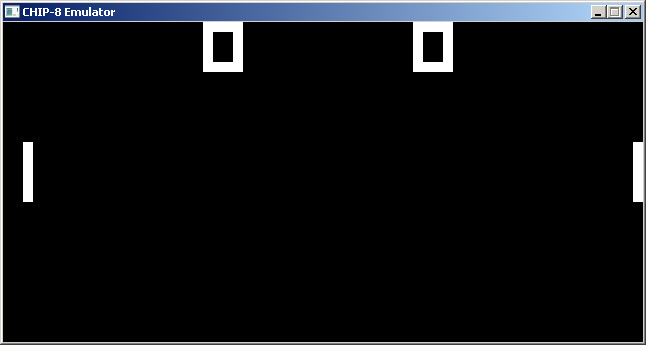 A multiplatform CHIP-8 emulator done in SDL. 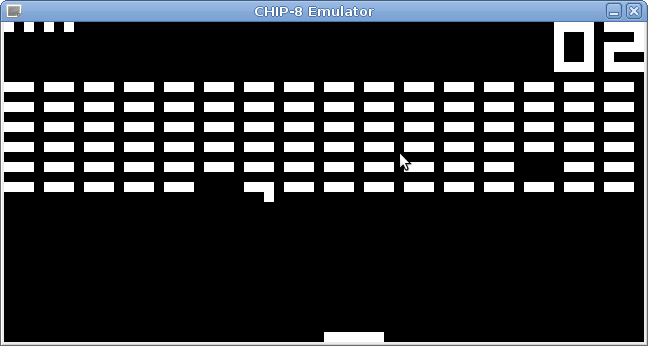 chip8 is a CHIP-8 emulator developed in C using the SDL2 multimedia library. It emulates a standard CHIP-8 machine and implements all the opcodes that the specification provides. Latest version available is: v0.2.0. Download tarball. PPA for Ubuntu based systems (16.04, 14.04 support is comming soon): ppa:danirod/chip8. After adding the PPA, update your system and install the package chip8. .deb file for Debian based systems: i386, amd64. Win32 release for Microsoft ® Windows ® systems (v0.1.3, OUTDATED): Download here. You can get the develompent release using Git. You can clone the following URL: https://github.com/danirod/chip8.git. CHIP-8 stores the sources at GitHub, although there are mirrors at BitBucket and GitLab. The development branch is devel (although that should be the default one that gets checkout'd when you clone the repository on your machine). CHIP-8 v0.1.3, released 2016-03-28. Changelog and binary releases. CHIP-8 v0.1.2, released 2016-03-24. Changelog and binary releases. CHIP-8 v0.1.1, released 2015-03-11. Changelog and binary releases. 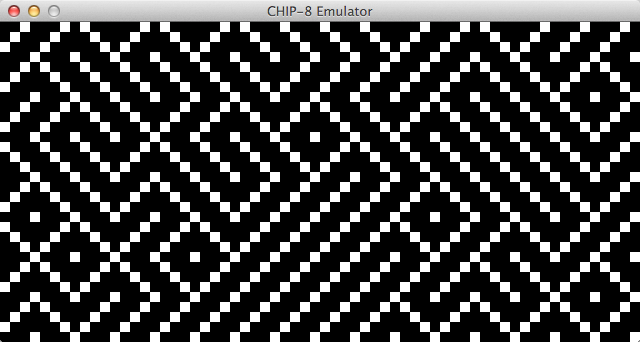 CHIP-8 v0.1.0, released 2015-03-09. Changelog and binary releases. Click to see bigger versions. 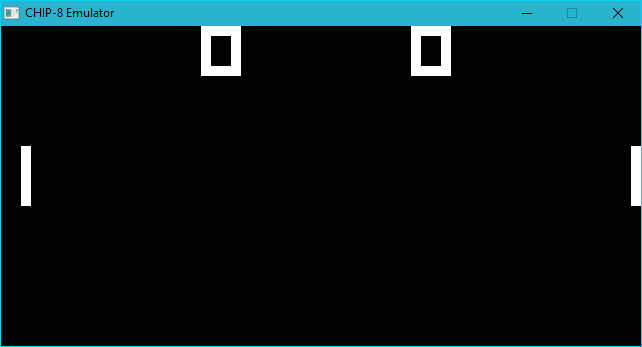 CHIP-8 running on Microsoft® Windows® 10 (screenshot provided by GitHub user Guerra24). You can read the software manual here. Please note that the user manual for v0.2.0 was written after releasing v0.2.0 and therefore is not available in the software distribution that you can download using the links above. It is however included in the source code repository and is expected to come in v0.2.1 release. HTML (68 kB), entirely on one web page. HTML, with one chapter per page. Although I am in control of this project, I allow the community to take part of this project. Please, make sure you read the manual first, specially chapter Hacking the emulator, because I provide there rules and guidelines on how I structure my development. Report bugs: if you find a bug during the execution of a ROM, report a bug at the issue tracker. Send patches: if you have some interesting feature that you think deserves to be in upstream, send a pull request to our pull request page. Again, make sure you read the manual first to learn about things that are most likely to be rejected. This project is available under a GNU General Public License v3 license.